Joe Brewer, double Australian Champion! 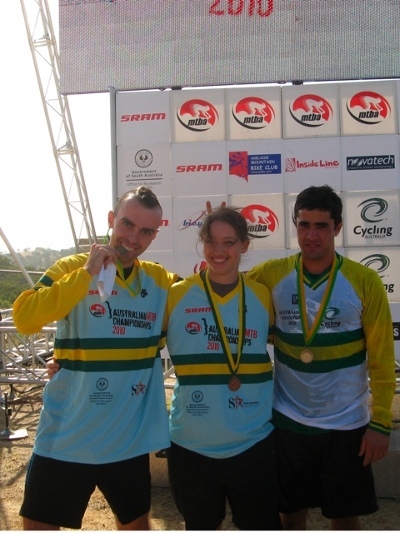 The 2010 Australian Championship took place last weekend in Adelaide. 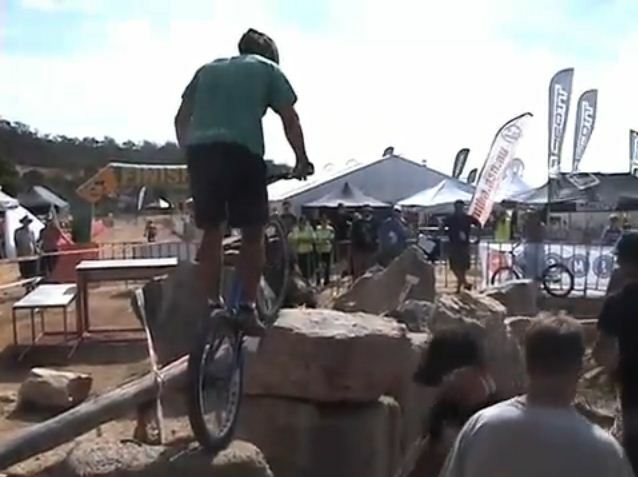 Joe Brewer dominated in the Pro category, winning the 20" and 26" titles in the same day! To conserve his 26" title he had to fight it out in the sections with Andrew Dickey, and the two had to be separated in a ride-off in a previously unridden section! 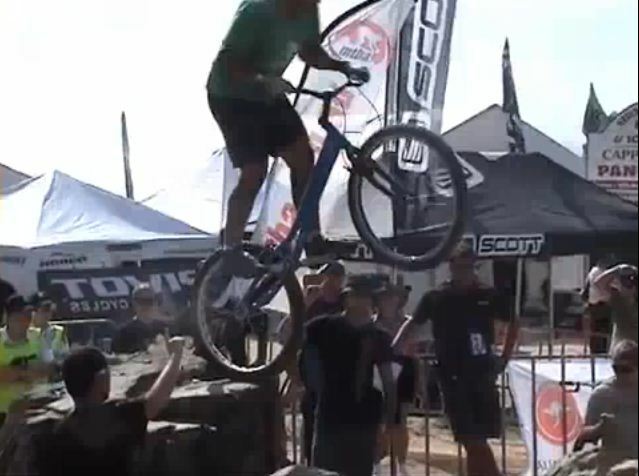 Our Australian correspondent Mitch Ho, who was riding in Elite, has sent us a write-up of the competition along with the results and a video of the 26" Pro final ride-off by Expressive Bikes. Well I have returned, it was a hard championship. The weather was hot, with a slight breeze but very dusty! 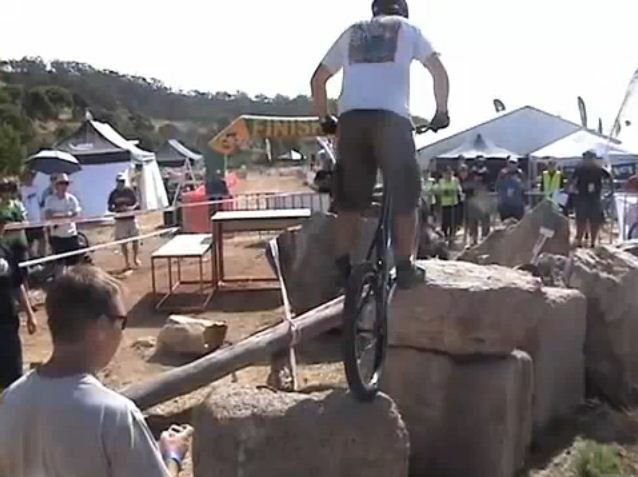 The sections were great, a mix of natural and man-made obstacles in the same areas. Very technical and some big drops (over 1.9m) from tree trunks & rocks. I made a few stupid 5’s then rode fairly well... a few 0, 1, 2’s, but by the end my hands were very tired, I made a few more errors and it’s all over. But overall I was ok with my riding, there is always next year! 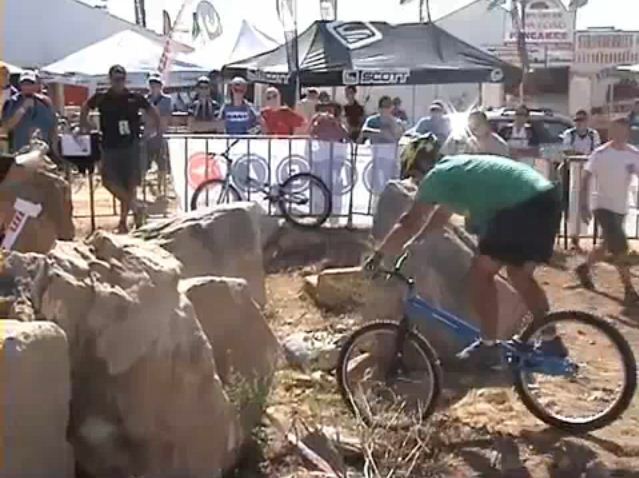 In the Pro 26" category, Joe Brewer competed first on the 26" in the morning and ended on a score of 3. Andrew Dickey was on a 1 point with one more ride reminaining... and collects 2 dabs! So Joe and Andy are tied on 3 points. So they make a deciding section, run one backwards and a little harder. The result, in a video from Tim at Expressive Bikes (www.expressivebikes.com). So it was Joe Brewer 1st, Andrew Dickey 2nd, Nathan Mummery 3rd. In the afternoon, Joe borrowed a Hydroxx 20" and came 1st in the Pro 20" class also!! A monster effort. 2nd was Morgan Dressiens, 3rd Jack Mullaly. Full results at the expressive bikes website. I had the pleasure of riding with Joe on Monday, unfortunately no camera!! He is going huge.. sidehop, tap, pedal bunnyhop a wall which is at my shoulder (about 1.5m)... all too easy! Joe on his way to 20" victory... Photo by Kevin Anderson, official event photogrpher... Click on the pic to see more! 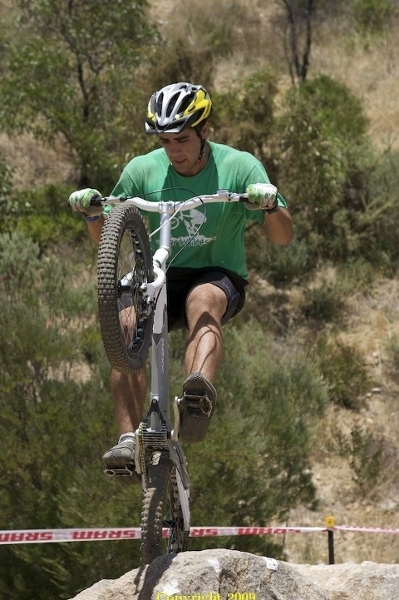 Click here to check out the Expressive Bikes website and see more images from the competiton! The new flagship bikes of K-124, the Koxx Sky 26” (full bikes) and 20" (frames), have arrived at the K-124 House yesterday morning! The Yaabaa 20" bikes have arrived! The new Yaabaa 20" range was unveiled at the start of the season. The bikes have arrived at K-124 House! 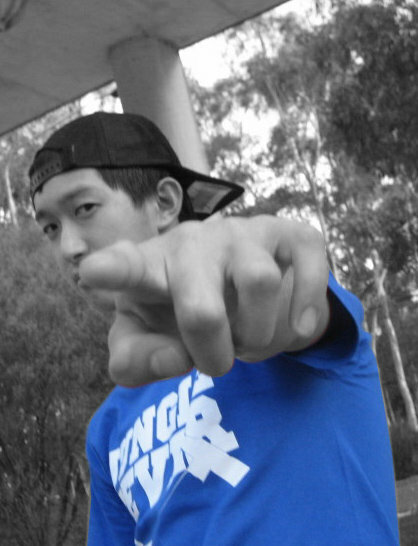 The new online shop for 100% trials clothing, Interzones, is putting a team together to promote their creations. Their first recruit is the young and talented Ulysse Fontenay. Cao Gong Cang, head of Chinese company Speed Race, presents their new street frame, the "Super Me", a hybrid 24"/26" that you can even take dirt jumping! Top British rider Ben Savage, who signed up to ride for Rockman a few days ago, presents his new bike: an anodised silver Slate 2! A new carbon handlebar has appeared on th emarket. It has been developed by new brand on the scene, Mist.